MyVillage™ Christmas House LED Lit 3D Puzzle Kit provides a delightful and novel festive model which allows easy construction, building a colourful home at Christmas time illuminated with LED lighting. All parts are supplied in press-out and push-fit sections in di-cut stryofoam sheets requiring no glue, suitable for younger modellers. A great Christmas gift or project to get the family into the spirit of Christmas. 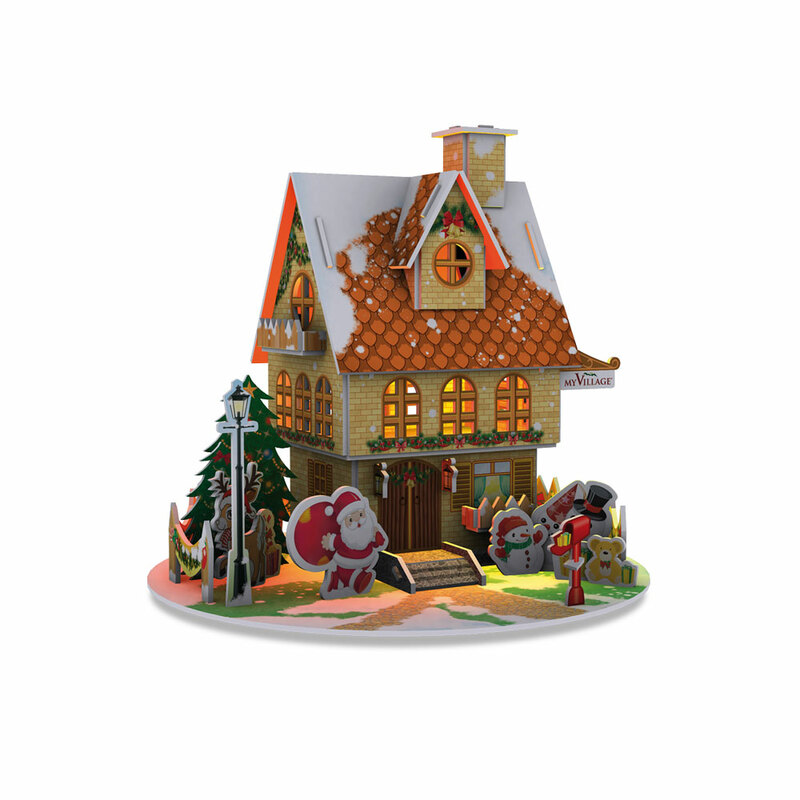 The final construction will bring a real sense of satisfaction to encourage the youngsters to become part of the Christmas creativity, and ideal for placing their own centrepiece on view on a tabletop, windowsill, mantlepiece or bay window. Battery operated LED unit supplied.